Wordfast Pro 3 (WFP3) is a standalone, multiplatform TM tool designed to change the landscape for every stakeholder in the translation process, from project manager to freelance translator. Wordfast Pro 3 is the only major commercial TM tool on the market that runs natively on Windows, Mac and Linux. Wordfast Pro 3 offers users the ability to choose either a table (side-by-side) or text (in-line) view based on personal preference. Proficiency is made virtually instantaneous by offering users customizable shortcut key bindings including pre-configured shortcut key maps for all major TM systems. Wordfast Pro 3 enables you to translate virtually any file format, including MS Office, Adobe InDesign, FrameMaker, PDF, HTML, XML and more! Work faster and more efficiently with several powerful time-saving features including extraction of frequent segments and high-speed batch processing. Wordfast Pro 3 enables users to access an unlimited number of TMs and Glossaries simultaneously. Users can also prioritize the order in which TMs and glossaries are leveraged. Wordfast Pro 3 integrates with multiple MT engines enabling users to leverage machine translations when there are no translation memory matches. Users can also assign penalties to machine translated content. Wordfast Pro 3’s Transcheck feature verifies elements in your translation and warns about potential errors in spelling, grammar, punctuation, numbers, terminology consistency, and placeables as you type. Wordfast Pro 3 supports any language that is supported by Microsoft Word. This includes Eastern European, Cyrillic, Asian, Right-to-Left, and various other languages. *Please update Java here for Mac OSX Yosemite users. TMs: Store up to 1,000,000 TUs per single TM; Users can create an unlimited number of TMs; Users can access an unlimited number TMs simultaneously; WFP3 can read/write TMX 1.4b; TM sharing via the internet or LAN is possible with Wordfast Server . Glossaries: Store up to 250,000 entries per single glossary; Users can access an unlimited number of glossaries simultaneously; WFP3 can import/export glossaries in tab-delimited text format or TBX format. 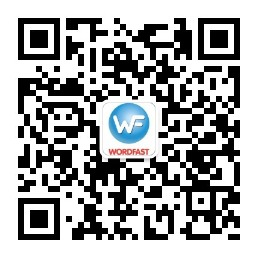 Wordfast Pro 3 is not available for mobile decives.